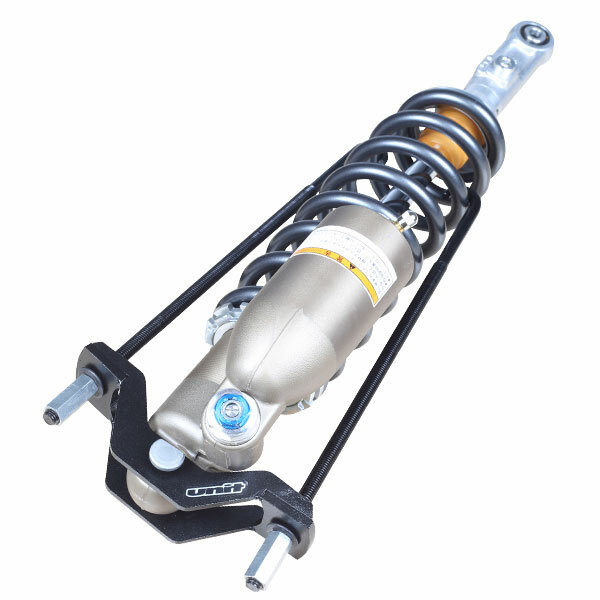 - Spring compressor for mono shock suspensions. 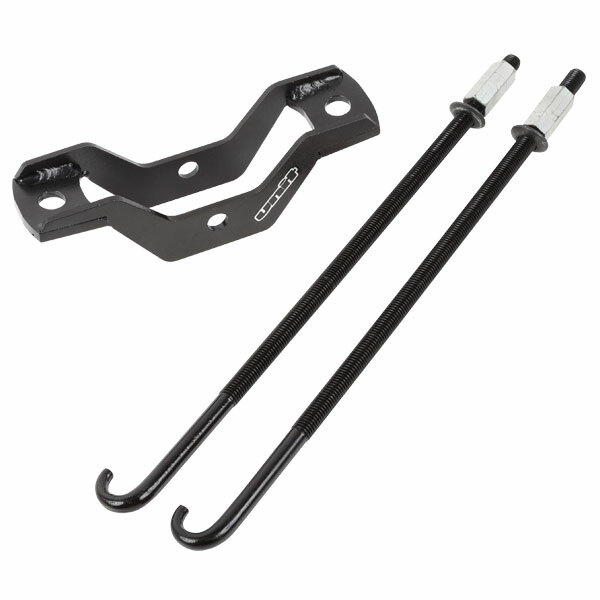 - 2 hooks hold the spring secure, and compress spring by tightening nuts. 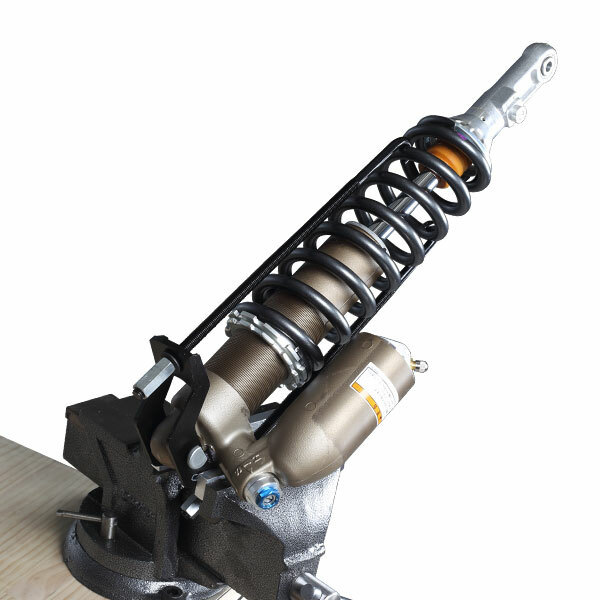 Easily remove spring from suspension body. - Designd for easy use with vice.